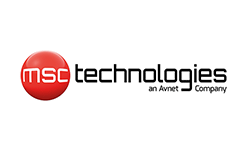 MSC Technologies, a company of Avnet Inc., specialises in intelligent embedded and display solutions for a range of different industrial applications. MSC Technologies, based in Stutensee, Germany, has many years of development and production expertise that ranges from COM Express, SMARC and Qseven modules to complete systems. With its consulting competence and full-service offering, MSC Technologies secures a competitive advantage for its customers with premium-quality solutions and long-term availability.